Price: $149.99 Now Only $119.99 plus $20.00 for postage and handling. This magnificent book of 583 pages commences with ancient Aboriginal art and the early colonists' interpretations of their surroundings. It discusses the formation of an Australian identity through art, the shock of early modernism and the notorious Heide circle. It finishes with the recognition of modern indigenous, and contemporary Australian art, and their place in the world. A major emphasis is placed on the past fifty years, when both indigenous and non-indigenous Australian art have received widespread international acclaim. All major expressions of visual culture in Australia including painting, sculpture, graphic arts, photography, applied arts, installation art and digital art are addressed. 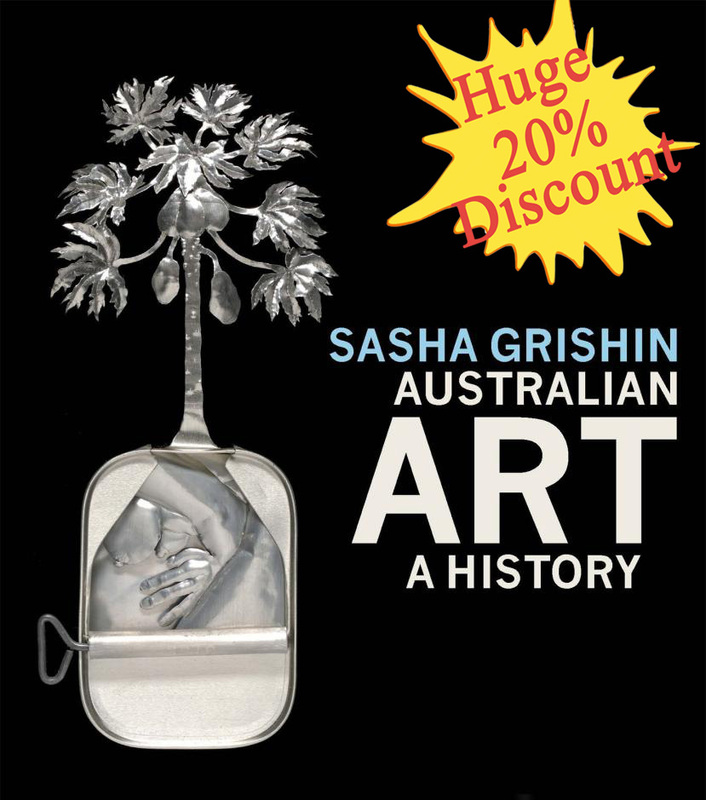 Sasha Grishin is a leading Australian art historian, critic and curator who has published some twenty books and over two thousand articles on various aspects of art. This book, his magnum opus, is a comprehensive and definitive history of Australian art. Lavishly illustrated and meticulously researched, it provides an overview of the major developments in Australian art, from its origins to the present.